Record hours for a seven-day week with this printable timecard. Includes space for two periods per day plus room for extra time. 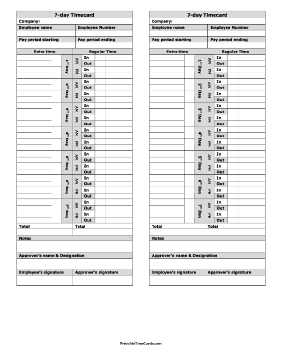 Each page includes two time cards.